Huh? It's Jill's normal day to post, and the title says this post is by Jill, so why was it posted by Laurie? Excellent question! Sorry to be a little confusing, but even though Jill is one of our regular contributors, today we're treating her like our most honored guest. Why? 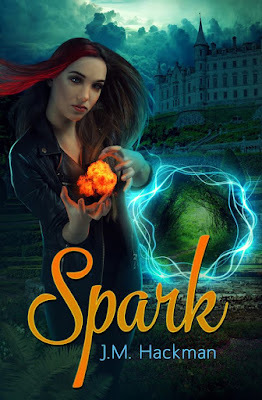 Because it's her blog tour for her debut release, Spark!! YAY!!!! We could not be more thrilled to get to celebrate with you on this special occasion, Jill! I'll share more details about her new release below, but first here's Jill sharing "The Evolution of Spark" - enjoy! “I’m going to write a book,” I blurted. But at that stage the book was an amorphous idea. Although this wasn’t my first attempt at a novel, it was my first attempt at speculative fiction. The manuscript evolved a lot from the early days when I was world-building until the printed product. After reading The Lord of the Rings trilogy, I envisioned my pages littered with mythical beings—dwarves, fairies, elves. Maybe a few trolls. But DragonSpell (Donita K. Paul) changed my mind. I created my own races, borrowing a few characteristics from the common tropes. Muscled Camlos are solid like dwarves, but larger and bald. The glowing Weldens? They’re quick, like fairies without wings. I changed point of view. Although I started with first person, fifty pages in I second-guessed myself. I wrote a chapter in third person. After sitting with that change for a week, I switched back to first person. There’s no definitive reason why first person worked best for this story—it just felt like the right choice, despite first-person point of view limitations. My initial beginning was different, too. I really hate beginnings. They should hook the reader, start with action, and make you care about the character, preferably all in the first paragraph. Originally, Brenna encounters the mean girl clique in the girls’ bathroom. When things get physically rough, she pushes the leader away and burns her in the process. After I entered the first few chapters into a contest, the feedback was that Brenna wasn’t likable because she didn’t care about the girl she burned. After much struggling and hair-pulling, I wrote a new beginning. The last major change was the title. It had originally been called Brenna. In the beginning stages, I’ll just name the book after the main character. It saves time and energy. I decided on The Sacred Veil, but after many revisions changed it to The Firebrand. It then morphed to The Firebrand: Spark. When my publisher mentioned single title books are easier to remember and possibly sell better, I retitled it Spark. The struggle for any writer is to change the story until it’s the best it can be without losing sight of what makes it special. After many, many hours, Spark has evolved into a story I’m proud to call my own. Congratulations again, Jill!! Thanks for letting us be a part of the celebration for your new release! Make sure to check out this review of Spark posted by Laura Zimmerman yesterday, and Jill's guest posts tomorrow hosted by Pam Halter and Ralene Burke! Thanks! It was fun to look back on all the changes. I love the beginning, think you absolutely captured all the teen-angst of 'oh my goodness, I'm a freak with this power!' Plus all the action. Plus...well...I could go on and on, but I don't want to be guilty of posting spoilers. Suffice it to say, glad you declared at such a young age that you were going to write a book! !